As organic mountain farmers here in Ulrichen, we have got the aim, to serve fresh an local products to our guest. As far as possible, we do serve food from our own farm or do collaborate as close as possible with local producers as the Organic Mountain cheese factroy in Gluringen, bakery Simeon in Reckingen, butcher Nessier in Muenster and the cheese factories in Reckingen and in Obergesteln. Our coffee is roasted by Caffè Sempione in Ried-Brig, our beer is brewed by Walliser Bier in Sion and and we recommend local wine specialties from the Valais area. 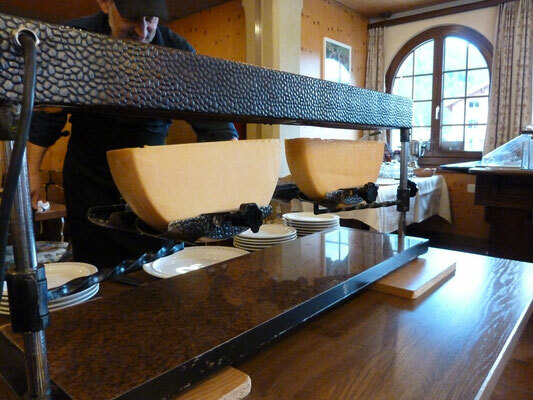 The restaurant, together with the dinning room of Hotel Walser offers space for up to 100 guests. Traditional tools from the old days of mountain life and pictures of local people from ages long ago offer a cozy atmosphere in the restaurant. 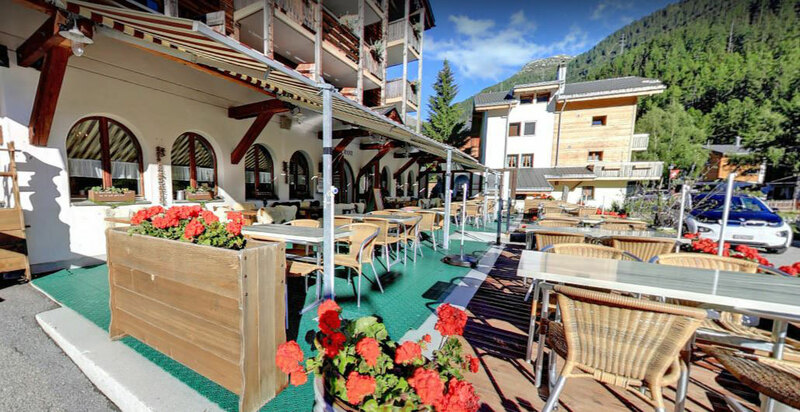 The terrace surrounded by the breathtaking mountain scenery offers space for 80 guests. Start your day with the breakfast buffet. Products from the local cheese factories, bread from the local bakery and meat from the local butcher will make you an easy start to a new day. 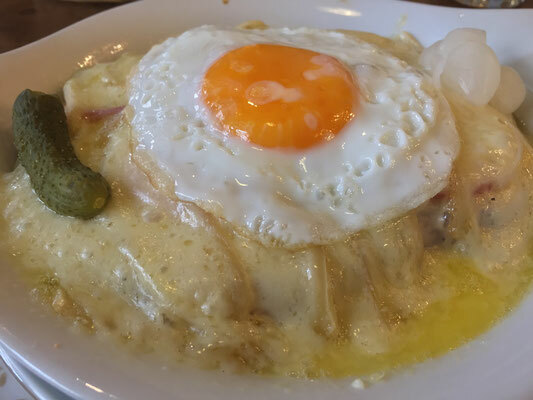 Every Friday evening in winter and during summer season on reservation from 4 people on we do offer Raclette with real Raclette cheeses AOP from the Valais. Former organic mountain farmer and now your host: Andy Imfeld will be happy to explain you the difference. 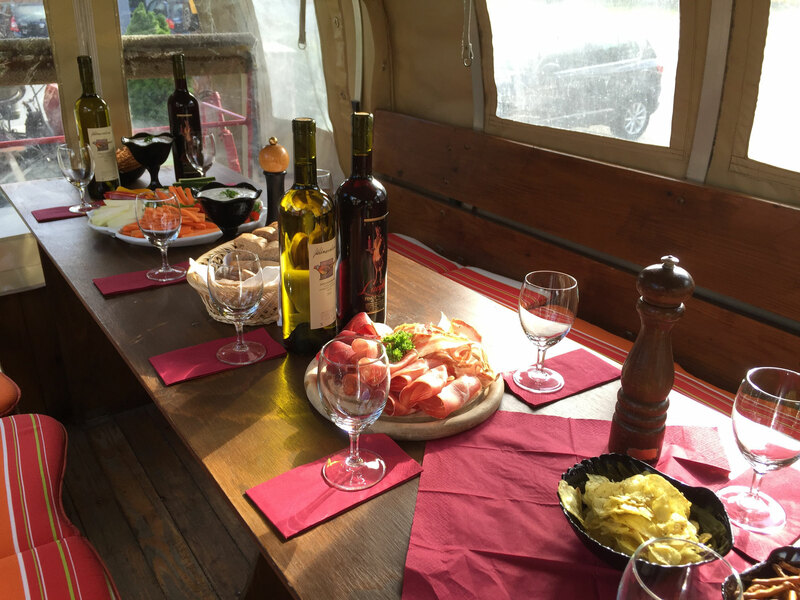 Enjoy local wines with the served dishes! 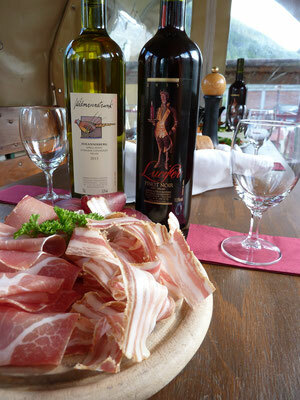 Local wine makers from Visperterminen, Salgesch and Sierre are found on our list; but also some few Italian specialties. Whisky lovers will be surprised by our exquisite choice of more than 100 different bottles. Proudly we can call it the biggest Whisky choice in the entire Goms valley!